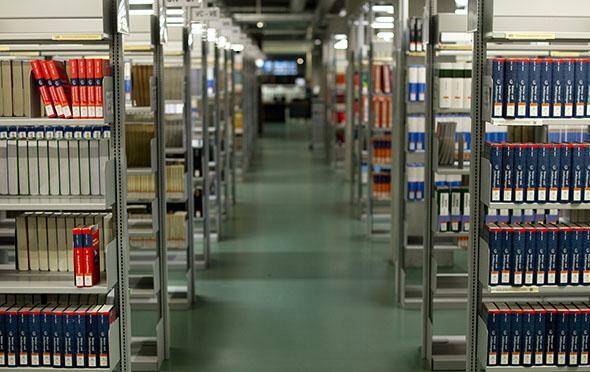 College libraries should keep their books in the stacks. It’s not about the books. It’s about the books representing the last place on campus where intellectual contemplation thrives. If a college library moves 170,000 of its books to storage, to make room for sumptuous new administrative offices—which is happening at Maine’s Colby College—does it still count as a library? Or, as an impassioned open letter from concerned faculty attests, is it no longer “a place for reflection and deep thought, research and scholarship,” but rather merely “a waiting room” sans books and a reference librarian, and surrounded by temples to the new gods of the American university? The Colby case is but one example of a widespread move to re-appropriate library space in the age of digitization. From the University of Nebraska to the University of Edinburgh, from the University of Nevada–Las Vegas to Kent State, knowledge repositories the world over may soon have to change their names, because the liber will be increasingly hard to come by. In fact, the only major library to “resist” this trend—the New York Public Library—did so only reluctantly, and out of capitulation to a passionate, organized, grass-roots campaign. The Bookies are quite right to want to save the stacks—but not just for the reasons they give, all of which could be dismissed as the sentimental drowning cries of Luddites. We must also save the stacks for another, more urgent reason altogether: Books, simply as props that happen also to be quite useful if you open them up, are the best—perhaps the only—bastions of contemplative intellectual space in the world. The current cases for keeping the stacks—all of which I, as a raging bookish sentimentalist, happen to agree with—will, so long as digital technology advances accordingly, eventually no longer apply. Some studies show, for now, that online reading creates worse readers—that there is no replacement (yet) for the wonder of browsing. Such intangibles are both vitally important to the university experience and irreplaceable digitally—for now. But that will change. Someday, hopefully, every library in the world will have beautiful, atmospheric “virtual stacks” with avatars of books on shelves that look identical to the real thing—only they’re searchable, so actually better. All this requires is both a design aesthetic and an algorithm that the current status quo, WorldCat, does not yet have. So, if digital technology is able or willing to recreate, more or less, the experience of physical stacks, while exceeding their storage capabilities, all that remains is a sentimental argument, which will be a hard one to win. Yes, the preservation of knowledge is dependent upon the interaction with the past, and touching an old book is as visceral as that interaction gets—but, the futurists ask, is it really worth millions of dollars to dedicate valuable campus space to what basically amounts to a browsing-culture museum—a culture, by the way, that is only as old as the Second World War? But there’s one wholly unsentimental reason the stacks are both vital and irreplaceable, and that brings us back to Colby’s decision to replace theirs with a gleaming shrine to the corporate bottom line. As more of the books disappear from college libraries, the people in charge of funding those libraries will be more tempted to co-opt that space for events that bring in revenue, or entice students for the wrong reasons: food courts. Gaming lounges. I expect rock-climbing walls soon. Unless administrators make a protracted effort to preserve the contemplative and studious feeling, that feeling will disappear altogether, and the whatever-brary will become just another Jamba Juice. And don’t take my word for this. Lizz Zitron, a librarian at Pacific Lutheran University, tells me that while she’s enthusiastic about the correct use of the learning commons model of library design (which incorporates tutoring and writing centers), multiple studies in her field have determined that students want a library with stacks. This is, then, one way in which books are far from obsolete: They are the best intellectual chaperones money can buy, both the creators and the preservers of the contemplative space that every university needs if it’s not to turn fully into a strip mall with frats. Yes, it is expensive to house a robust, accessible collection of what will soon be a forgotten format. But it would be more expensive to come up with an adequate replacement that still had the same irreplaceable effect on students—so expensive and involved, in fact, that it wouldn’t be worth doing at all. Not when the boosters could pay good money to use that space on game day, for a 95-foot TV.